For hundreds of years, traders and merchants traveled along the coast of the Mediterranean Sea, plying their wares and loading their ships before departing and unloading the same. 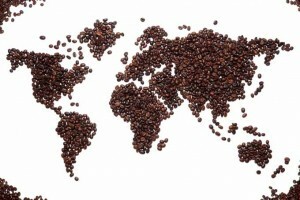 Trade boomed, and people around the world were exposed to foods, spices, textiles, and other unique articles never before seen. The Mediterranean was a proverbial goldmine of goods, which included the aromatic, perennial rosemary plant growing naturally along the coastline. Although native to the shores of the Mediterranean, rosemary (or “dew of the sea”) is now cultivated around the world. As an herb, its uses are endless. From poultry and lamb, to soups, teas, vegetables, stews, and spreads, it is an essential in every kitchen. Steeped in history, antiquated tales of rosemary have grown to legendary proportions. Mythology depicts Aphrodite lovingly covered by the naiads in a gown of rosemary and myrtle. Mary, the mother of Jesus, is said to have slept beneath a rosemary bush during the family’s escape to Egypt. Her freshly laundered cloak, spread across the bush to dry, is credited with miraculously changing its delicate blossoms from white to blue. The delicate blooms of this herb range from blue to purple. 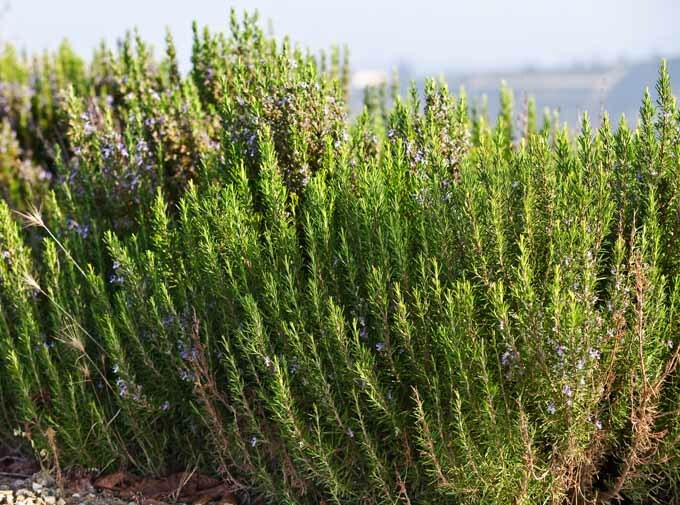 The rosemary bush was an essential component in the gardens of ancient Rome and Greece, where it was believed to provide protection from evil spirits. Scholars would wear garlands on their heads or around their necks in hopes of retaining knowledge, and some even placed the herb beneath their pillows before an exam. Brides saw the crowns that were so finely crafted for their wedding ceremonies as a symbol of love and fidelity. Even royalty succumbed to this belief. Picture Anne of Cleves, fourth wife of Henry VIII, tucking sprigs of rosemary throughout her coif before placing a precious crown of pearls and gemstones atop her head. Ironically, Henry would soon put her aside for a younger, more beautiful woman, but he would always claim to love her as his dear sister. How nice. The fact that she kept her head may have cemented her belief in the herb’s magical properties. As a symbol, rosemary was just as important in the remembrance of a life as it was a reminder of one’s wedding vows. Ancient Egyptians used the herb in embalming rituals. Early Europeans tossed sprigs into the graves of loved ones as a token of remembrance. Today, Australians and New Zealanders continue the tradition when military service members wear clippings in their lapels, to honor fallen comrades on ANZAC (Australian and New Zealand Army Corps) Day. Rosemary grows wild throughout most of the Mediterranean, like as this clump along the side of a road in Italy. In time, superstition would give way to medicine, as Greek physician, Pedanius Dioscorides, hailed the herb for its ability to create “warmth” in the body and improve the memory. 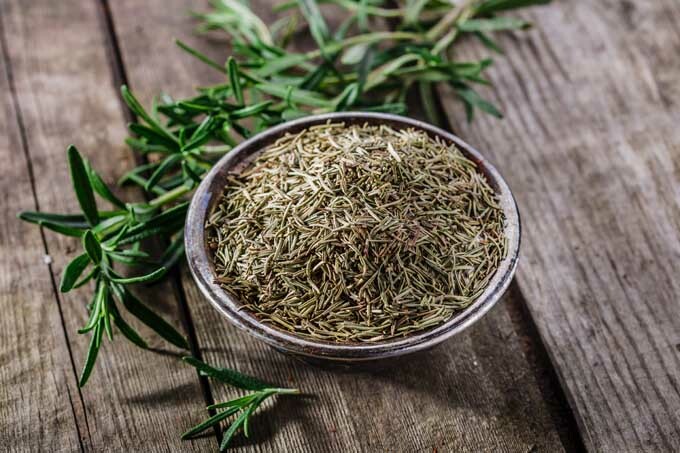 During the Middle Ages, rosemary was in high demand to cover up the stench caused by the plague, and the general filthy conditions prevalent at the time in most cities in Europe. During the Middle Ages, rosemary was often used as a purifier. Dried herbs were placed in sacks and carried through the streets to ward off the dreaded Black Plague. The herb became so popular during this time that prices soared, and the armful of branches once purchased for a shilling quickly shifted to a mere handful for six. As recently as WWII, French hospitals were credited with utilizing the benefits of its vapors to kill germs in overcrowded wards. Nonetheless, caregivers burned the herb in the bedchambers of the sick to cleanse the air. Public buildings kept the incense glowing in an effort to keep workers and patrons healthy. As recently as WWII, French hospitals were credited with utilizing the benefits of its vapors to kill germs in overcrowded wards. 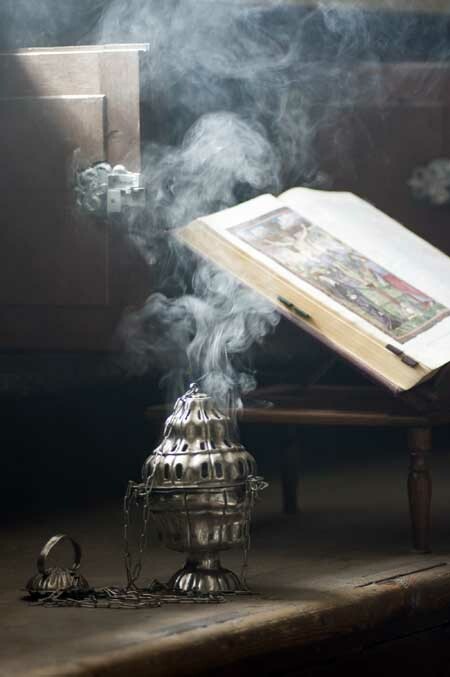 As an added bonus, the incense also repelled unwanted pests, such as mosquitoes and fleas. 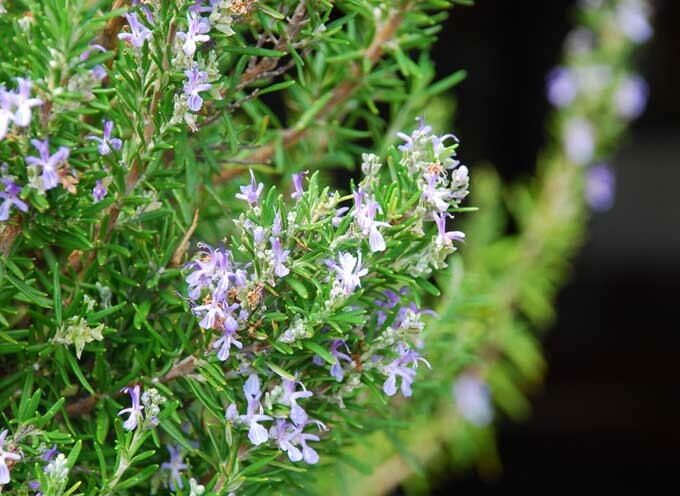 Today, we continue to learn of more health benefits attributed to rosemary. 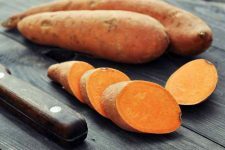 Proven to be a great source of vitamins A, B6, C, and folate, as well as the minerals calcium, iron, magnesium, manganese, and potassium, studies regularly produce new findings. Recent discoveries support the herb’s ability to improve mental health (concentration, exhaustion, depression); respiratory problems (colds, allergies, sore throats); and stomach ailments (indigestion, cramps, and flatulence). 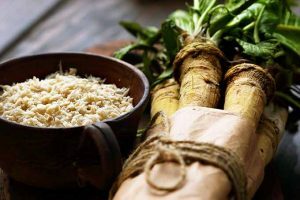 Rich in antioxidants, which are believed to boost the immune system, increase circulation, and fight free radicals, numerous studies are in progress to determine its benefits as a cancer-fighting agent. Fortunately, we only need to go as far as our own kitchens to reap the benefits. If you have a green thumb (or even if you don’t), rosemary makes a beautiful addition to any landscape. Unless you’re a seasoned gardener, it is said that nursery-grown plants are best. But you’ll need a few things before you start – sun, and an area with good drainage. If you’ve got those, you’re in business. 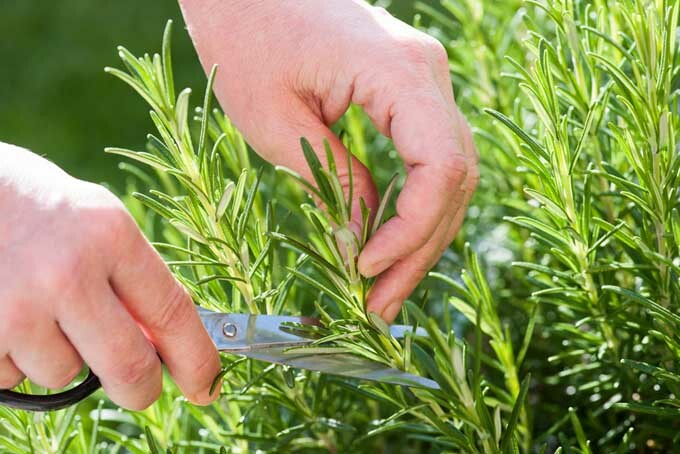 Living in a frost-free area will afford you the pleasure of fresh rosemary year round. Temperatures below 30ºF will require that you bring your plants indoors. For some of us, it’s easier to keep our plants potted, making the transition from outside to inside a simple task. Just remember, potted plants require more watering on those hot summer days to keep them from drying out. Once indoors, your plant won’t need scads of attention, but it will still require as much sunlight as possible. Thus, if you don’t have a sunny window, you’re going to be in trouble. The first question many people ask about herbs and spices is, “Should I use fresh or dried?” Well, the answer to that question never changes: fresh is best. That’s not to say there’s anything wrong with using dried herbs though, because there isn’t. Fresh herbs provide the truest flavor; that is a fact. Nonetheless, people have been drying herbs for thousands of years for good reason – they last longer. Amazingly, freezing rosemary locks in its flavor, aroma, and even better – its color. 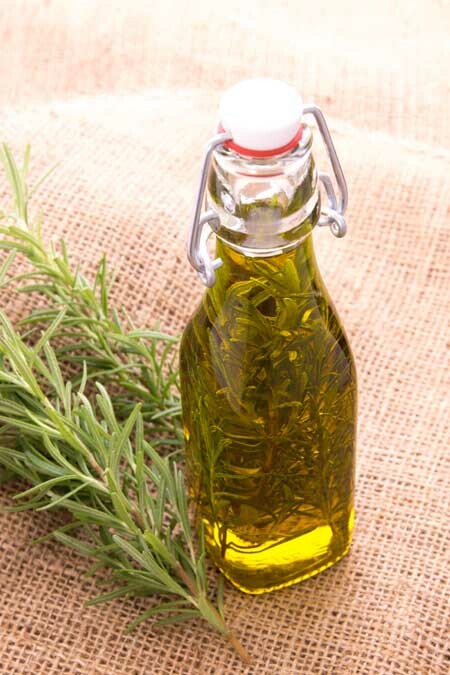 Fresh rosemary can be kept in the refrigerator for a few weeks at most. 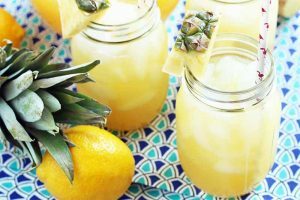 Trim the bottom of the stalks and submerge them in an inch or two of water, place the jar in the refrigerator, and use within two weeks. Remember to change the water every few days. Another option to preserve freshness is freezing the herb after cutting. This simple procedure requires nothing more than rinsing your cuttings in cool water, and placing them in airtight bags. Before use, manipulate the bag with your fingers or use a rolling pin to loosen the leaves from their stems. Amazingly, freezing rosemary locks in its flavor, aroma, and even better – its color. Let’s face it, presentation counts! Dried rosemary lasts far longer than its counterparts, but the longer it’s kept, the weaker it becomes. If that jar on the spice rack has been there longer than six months, roll the herb between your fingers accordingly – any aroma left? If not, toss it. Speaking of spice racks, is it time for a new one? Check out Foodal’s review of the best models on the market. 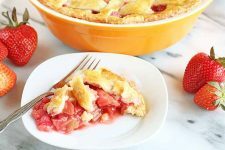 As the aroma and flavor weaken, the amount your recipe calls for will increase. There is no absolute shelf life for dried herbs, but longevity has a price. There is no absolute shelf life for dried herbs, but longevity has a price. On another note, it’s important to remember that freshly dried rosemary is stronger and more pungent than it is right off the stem (unless it’s significantly aged). In this circumstance, less is more. Rosemary’s oil is nestled deep within its needles (actually silver-gray leaves resembling needles), from which we discover the source of its minty aroma. 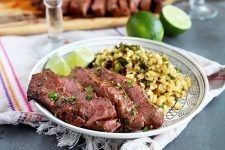 Drop a few sprigs into a roasting pan for a taste of the Mediterranean, pierce a leg of lamb for a succulent infusion of flavor, or strip a branch of its leaves and use as a skewer for roasting or grilling a medley of vegetables and chicken. Or…bake it into a cake! Just like our delicious lemon-rosemary bundt cake creation here, topped with goat cheese frosting. For a simpler baking spree, try these rosemary parmesan crackers for starters. When flowering, the blooms of the rosemary plant are not only edible, but make a great addition to biscuits, breads, salads, and dressings. The calyx at the base of the flower should be removed before use, and petals may be sprinkled at will. Flower blossoms also serve as an attractive and edible garnish. 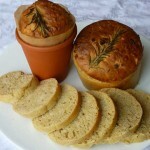 Terracotta bread pots garnished with flowering stems are sure to stir up conversation at an informal luncheon or picnic. Add another 1½ C. of warm water, browned onions, and the remainder of your ingredients. Knead with dough hooks (medium high) or by hand until dough is smooth and malleable. Place dough in a greased, glass bowl; cover and allow to rise (more than double). While your dough is rising, line the bottom of your terra-cotta pots with waxed paper. A small circular piece at the bottom of each pot will serve the purpose, although I have a friend who used cupcake liners with great success. After lining, spray the inside of your pots with non-stick spray. Remove dough from bowl, punch down, and split into six equal parts. Roll each section into the shape of a ball and tuck into your flower pots. Once again, allow dough to rise and double. When ready, your dough should be visibly above the rim of the pot. Preheat your oven to 375 degrees and bake on center rack for 30 minutes (or until golden brown). Remove pots from the oven and brush with melted butter. 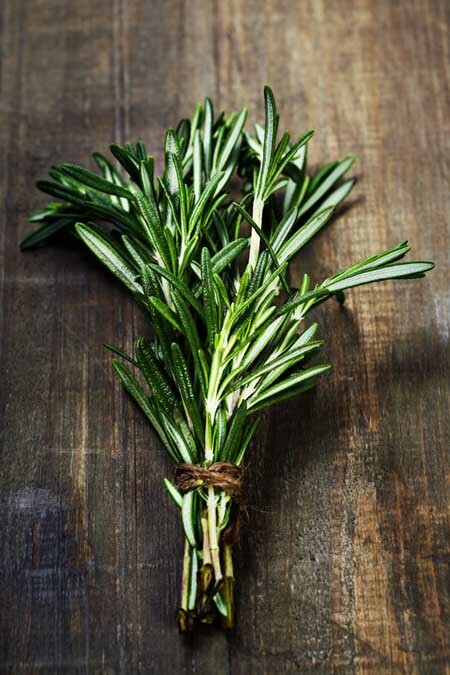 Before serving, garnish your pot with fresh rosemary sprigs. 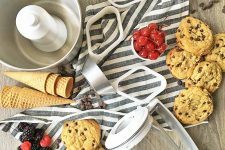 Note, you can create these conversation starters with any type of dough, be creative! *Other flours may be used. I prefer the nutty nuances provided by spelt and buckwheat flours…. Added bonus, little or no gluten. 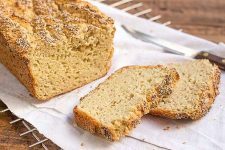 If baking bread seems overwhelming, frozen bread dough is a tasty alternative. 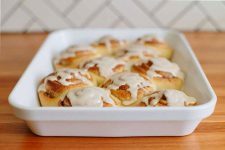 Frozen dinner rolls work best, as they are already sized for use. 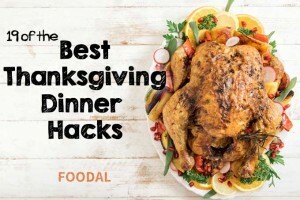 All you need to do is place the rolls inside of your pots, allow to rise according to the instructions found on the package, brush with melted butter, and sprinkle rosemary accordingly. Directions for baking will also be found on your package. Rosemary herbed butter spread makes a quick, delicious, and attractive addition to any dinner table. Simply soften two sticks of butter, whisk in a bit of minced garlic (to taste), and add some coarsely chopped fresh rosemary. 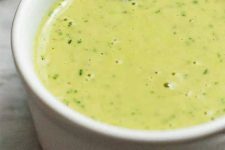 This scrumptious blend can be slathered on bread, corn on the cob, and even grilled steaks or chicken. A sprinkle of rosemary will also add zest to a number of different vegetables. 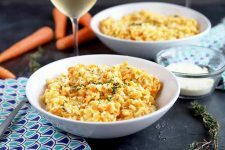 The next time you’re in the mood for cauliflower, peas, spinach, squash, zucchini, and especially potatoes, try a dusting of the chopped herb to make a once-ordinary dish exceptional. 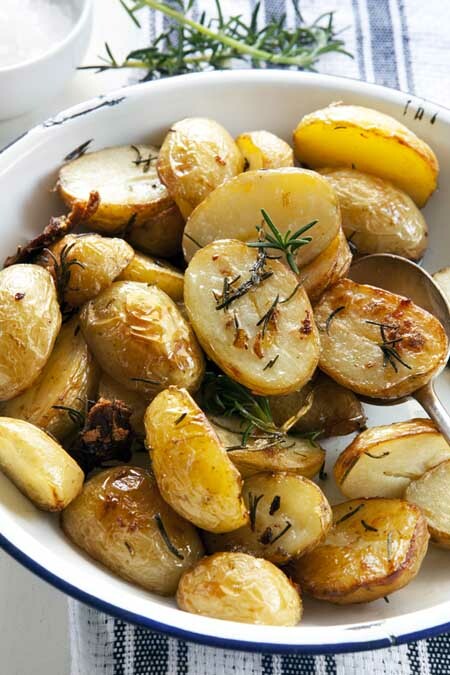 Prepare potatoes (do not peel), melt butter, chop rosemary and toss together. Lightly spray a baking dish with olive oil spray, add potato mixture, and bake in a preheated, 375 degree oven for 35 minutes or until tender. If you have "new" (small) potatoes available, you can use those whole (if small enough) or simply cut in half as we've done in this batch of golden potatoes below. In addition to breads, vegetables, and spreads, rosemary also finds a happy home in a number of different main dishes. 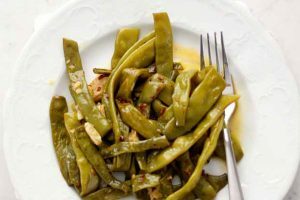 As a bonus, recent studies have noted that the herb’s antioxidant properties may actually reduce the carcinogenic compounds created when meat is cooked at high temperatures. According to researchers at the Burnham Institute for Medical Research in La Jolla, California and a Japanese study reported in the Journal of Neurochemistry (2007), the phenolic compounds present in the herb (i.e. rosamrinic acid, carnosol, carnosic acid) work to reduce HCAs before they form during the cooking process. This is great news for grill lovers everywhere! If grilling is your passion, there are many different marinades and meat rubs available for use with steaks, burgers, and chicken. Rosemary extract was cited as being the most effective form for fighting carcinogens, but it can be rather pricey. Thus, I’ll stick with an olive oil blend that can be prepared in advance, sealed with a cork, and kept for up to six months in the refrigerator. Mix all of your ingredients together, bottle, and seal. The recipe above should supply you with enough rub for two meals and is preferably used with burgers and steaks. If you choose to store your olive oil blend at room temperature, remember to keep it out of direct sunlight and use within a day or two (or a week if you are refrigerating it). Oil infusions take almost no time at all to prepare, and they serve two purposes. First, they are aesthetically pleasing to the eye. Second, they provide you with a base that’s immediately available for use. Beautifully crafted glass bottles are available everywhere from flea markets to the internet, but it’s what you put in them that draws the eye. 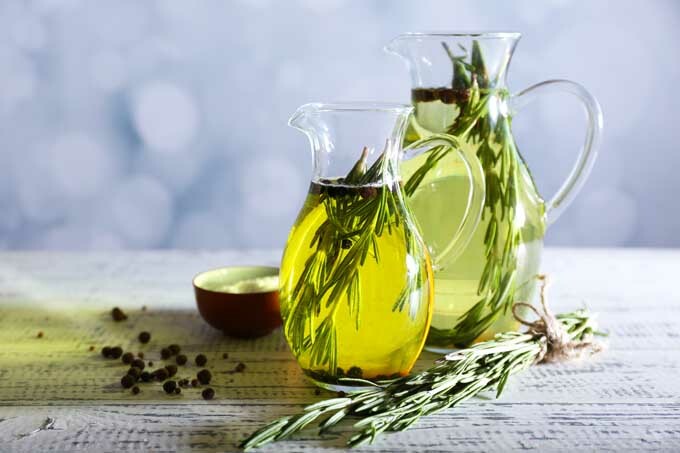 Fill a glass bottle with olive or grapeseed oil (I love the pale green color the grapeseed provides), add rosemary sprigs, and separate the cloves from three or four garlic bulbs before tossing them into the mix. The effect is breathtaking. Well, the taste speaks for itself. 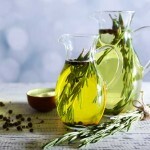 There are some safety concerns with creating herbed oils so please read this article before embarking on this pursuit. When it doubt, leave the garlic out – it can lead to the potential for botulism if not consumed quickly and stored properly. 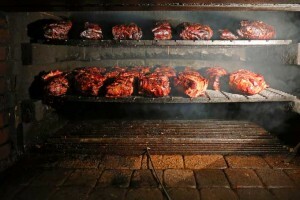 Strangely enough, what we often tend to consider a culinary adventure never seems to really be a path into the unknown. People have been treading these same paths for thousands of years. From the manicured gardens in ancient Rome to the herb gardens of modern day cooking icons, rosemary hasn’t missed a beat. 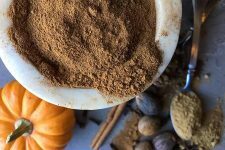 It’s beneficial to our health, pleasing to the palate, and it smells heavenly – not to mention the benefits it can provide for your skin and hair… but that’s a story for another day. “The English Physician by Nicholas Culpeper, 1652 – Herbs: Friends of Physicians, Praise of Cooks.” Herbs Friends of Physicians Praise of Cooks. University of Virginia, 2007. Web. 08 Feb. 2015. Heinerman, John. Heinerman’s Encyclopedia of Healing Herbs & Spices. West Nyack, NY: Parker Pub., 1995. Print. “Rosemary.” University of Maryland Medical Center. N.p., n.d. Web. 16 Feb. 2015. Rosemary is my favorite herb. I love the smell and taste of it, plus it’s so easy to grow that you don’t have to worry about it much. I didn’t know it had such a long history in culture though, so this was an excellent read. I’m having trouble retaining knowledge lately. Maybe I should pick up another pot! Zeedame- Rosemary is one of my favorite herbs as well. I’m glad you enjoyed a look at its history! Thank you so much for including the history of using rosemary. I am an amature herb gardener and I was planning on planting my own seeds this year. Your recommendation for a nursery plant was very helpful. I love the smell of this delightful herb. guineapigmomma- Good luck with the planting….. I’m sure you’ll be successful! Rosemary, like thyme, is another herb which is so easy to grow on your windowsill. Fresh herbs make such a difference to your cooking and it’s always more cost-efficient to keep a few plants going. missbishi- I’ve never had luck with rosemary as a windowsill plant, how do you keep it going? As a person living in the general vicinity of the Mediterranean I almost forgot how much we use it. It’s just so natural to add it to anything we cook or prepare that you don’t even think about it. Honestly, I don’t think you can go wrong with adding rosemary to any meal. Cmok- What a beautiful place to live! You’re very lucky. It’s funny how we take the areas we live in for granted sometimes…… hope you enjoyed the read and picked up some new ideas! I’m really inspired to make some rosemary butter and oil now. I’ve never been good at using herbs and only ever had rosemary in breads and on potatoes and have always liked it, but never felt I would have enough uses for it. I will bear this in mind when I need a herbal remedy when I am ill, as I didn’t know it had healing properties, so thanks. Bella- Thank you! I think you’ll love the butter! It’s a crowd pleaser……. I don’t use rosemary much but you make it sound like it’d be quite…delicious to use! I really should try rosemary butter/oil, I’m always in the market to look for new sources of fat to use in my cooking. Though in regards to antioxidants, you might want to be careful about that point, whether they’re necessary and healthy for use in humans is still up for debate. Nekroz- The nutritional value in our food is always up for debate. I found the study done by the University of Maryland fascinating. You might want to look it up. None-the-less, you are correct…… it seems the jury is always out on these topics. 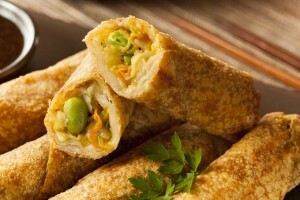 Think eggs…..
What a wonderful article , I like it when you also tell the history that come along with the food we use. And rosemary has such a long tradition and history. The recipe for the potted bread is so good, I made it this morning for lunch, big success. Thank you so much. Also great to get the link to the infused oils along with recipe’s. Coffee- I’m glad you found the information useful and impressed you’ve already tackled the potted bread. I’m glad you enjoyed…… thank you for your comments! This has to be one of my top favorite herbs to cook with! I love the taste of it; subtle and not too overpowering. I’m definitely going to have to try out the herbed butter next time I have some guests over! I’m glad I was able to learn a bit more about it, for all this time I had never known where or how rosemary came to my kitchen. Plus- I’m glad to have provided you with some new information. 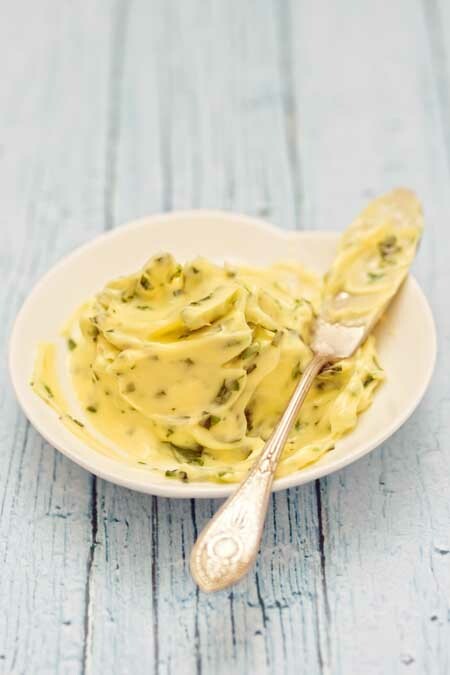 I think your guests will enjoy the herbed butter, it always seems to be a hit with guests. Admittedly, I enjoy it as much as anyone else. Thank you for reading and commenting. Your comments are appreciated. dianethare- This one was for you….. I hope you enjoy, and you are truly most welcome! Diane- I’d advise spaying your rosemary with a fruit and vegetable wash before rinsing. You can buy the wash or make your own….. all you need is a spray bottle, the juice from one lemon, a few tablespoons of vinegar, and water. The perfect natural spray and disinfectant! Rosemary is one of my favourite herbs, and as you say, so easy to grow in the garden for a fresh supply pretty much all year round. My rosemary plant got badly attacked by weevils last year, though, and I thought it was a goner, but it’s started sprouting again now, much to my relief. Another trick for grilling – use larger, tougher rosemary stems as skewers to give a beautiful herby, smoky flavour to your chicken or lamb kebabs (you may need to make a hole with a metal skewer first). Sugarsnap1982- Thank you for commenting and the grilling tip! Your comments are appreciated! This was a great read! Rosemary is one of the only herbs I use fresh regularly, because we have a huge bush that grows well in our garden. I tend to shy away from the cost and waste associated with buying fresh herbs for every recipe, but for the rosemary we just head out to the garden with a pair of scissors! I think that rosemary potatoes are a pretty perfect recipe, super easy, delicious, and hard to mess up! SeveralFon- I’m glad you enjoyed the article. I’m in total agreement about the rosemary potatoes, and the scones sound delicious. I’ll look around and see if I can find a similar recipe. Thank you for the tip! I am just now learning how to use rosemary and this historical and nutritional information is a great inspiration. Rosemary grows freely here and I can use it fresh and dried. I especially am interested in the fact that it warms the body, because I tend to be cold natured. I have used it in soup before, but it was dried and over a year old, so I really haven’t experienced its true flavor. The potato recipe sounds delicious too. Aphil- You’re so lucky to have a fresh supply of rosemary growing freely in your area. Let me know how you like the potatoes….. experiment and have fun! Last summer a friend gave me some of her fresh rosemary. I had no idea what to do with it except add it to potatoes. I am so inspired by this article. I enjoyed the background as well. I look forward to growing my own rosemary in my garden and adding it to our meals. 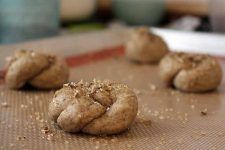 The first recipe I want to try is the terracotta bread. It looks yummy! Kat R- I think you’ll enjoy the terracotta bread….. it’s one of my favorites. Thank you for commenting! 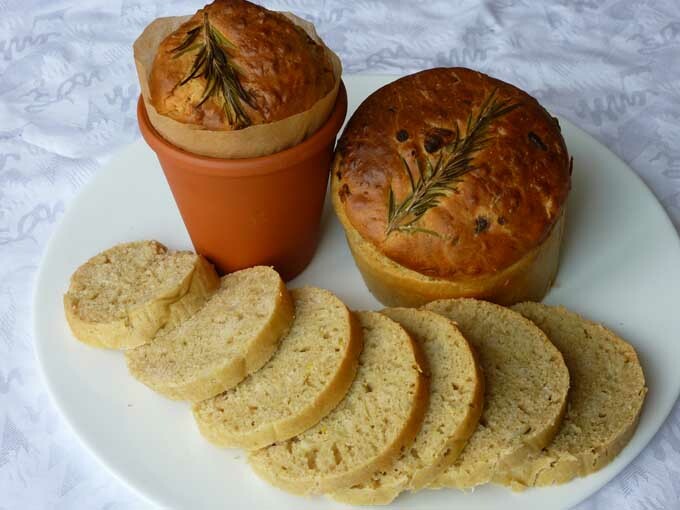 Oh I love those little breads in a pot, and the rosemary butter sounds delicious too! I have a tonne of rosemary growing in my garden; it’s quite a hardy herb for here in the UK, and it’s been quite prolific for the last 5 years or so. I dry a lot of it, and sometimes I freeze some for later use -I find freezing herbs keeps them looking quite nice when you add them to a dish. 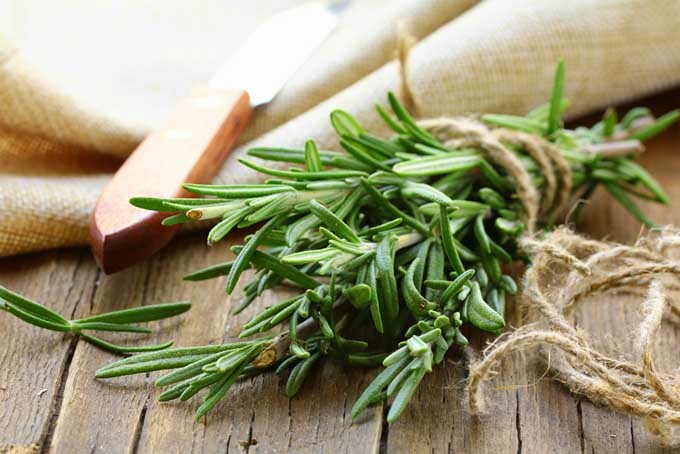 Rosemary is really versatile, and can add a real depth of flavour to a lot of different dishes. I always use it in my homemade soffritto which I use as a base for my soups, risottos, ragu sauces, and more. Great to see this fantastic herb in the limelight! Portia88- Sounds like you have it all covered! I’d love to hear more about about your soffritto…. soups are a favorite, and I’ve never found a recipe for soffritto that I love. As for the bread pots….. I made them with my students before Easter break. It gave each of them a chance to bring their own contributions to family dinner. They enjoyed the experience. Thank you for reminding me about this herb. I love rosemary, especially with chicken. It has such a great smell and gives food delicious flavor. However, I was not aware of all the history, mystery and suspicion regarding this herb. I never knew that it could be used in so many different ways and that it had great health benefits. It has been some time since I used it, so I will make a point of getting some for my next chicken dish. 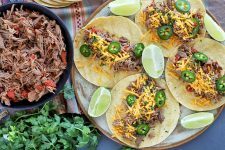 Yet another Foodal article I need to bookmark! This also comes at the perfect time. I’ve really been trying to infuse my food with more natural flavors over dried herbs and such. That herbed butter sounds absolutely divine! Reading about all of the history behind rosemary was equally as interesting. I’m slightly superstitious so I loved learning about the wedding traditions. Hilariously, I never knew that the herb came from the Mediterranean. We are currently living in Cyprus. I don’t know how this one passed me by! I guess it’s true what they say – you learn something new every day! The benefits of using this herb is amazing. We had a jar of dried rosemary and it is time we get another. I have seen some people use rosemary oil for their hair care regiment. I also always wondered what that green crown those Greeks wore were. I love fresh Rosemary and have prefer to grow it fresh. I have an herb garden on my windowsill and love the way the Rosemary makes my kitchen smell. Growing up my mom always told us to drink Rosemary water before we took a test, she said it would help us remeber the answers and do well. I also recently read that putting Rosemary in your water helps detox your body. Even if it isn’t true I like the way my water tastes with it. Rosemary has never been my favorite. I’ve always been more of a cilantro and basil fan. 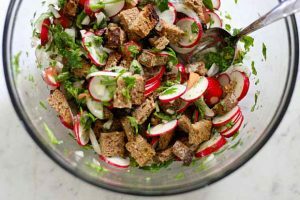 But, the health benefits mentioned in this article have convinced me to incorporate more of it into my diet. I really enjoy this herb. I have some rosemary essential oil that I like to add to my cleaning, along with tangerine, for a really nice scent. This is also a great cooking and baking flavor combination. I also like to add the blend to my hair in a hot oil treatment for soothing my scalp and strengthening my hair. I live in the Midwest (US) and somehow my rosemary has made it through the harsh winter. Its leaves have turned to a darker purple color from green, but when I cut some of it, it still smells fresh and fragrant. I wonder if the cool temperatures have preserved it, much like putting the cuttings in the freezer, like you said. I’m interested to see if it revives itself in the summer. 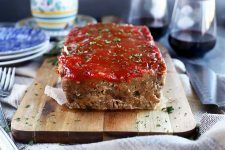 You have fantastic recipe ideas! The terracotta bread pots are ADORABLE. The butter looks delicious, and I can’t wait to make the rosemary olive oil! Ever since I found out how good rosemary is I’ve been trying to incorporate it in a lot of dishes, I usually add it to steaks or porkchops at bbqs and it gives a nice after taste. 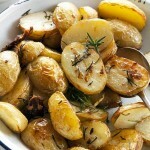 Rosemary potatoes look interesting as well. I’ve always found Rosemary very easy to grow and have a huge bush of it in my yard, ready to pick whenever we want some. SO I don’t need to freeze it, luckily. Roast lamb and roast potatoes pretty much always get the Rosemary treatment when being cooked in our house 🙂 I didn’t realise it contained so many minerals, including iron.